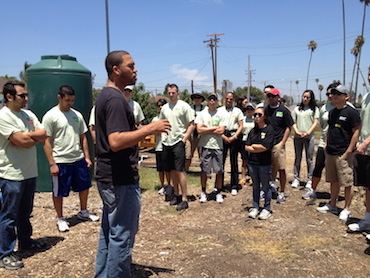 Dr. D’Artagnan Scorza speaking to volunteers at one of the Social Justic Learning Institute’s gardens. Photo courtesy of Social Justice Learning Institute. 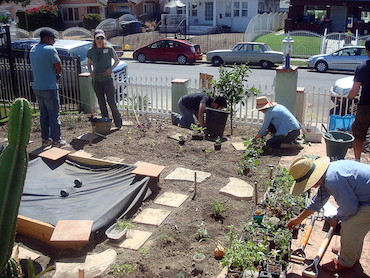 Though D’Artagnan Scorza grew up economically disadvantaged amidst a food desert in South Los Angeles, his family created an oasis of fresh fruits and vegetables that left him wanting for nothing at home. Scorza’s family not only grew their own food, but also cooked it. 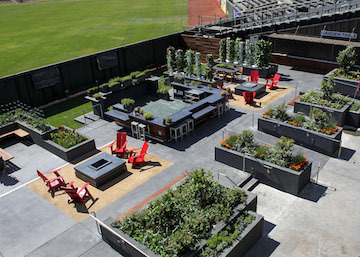 A view of the 4,320 square foot edible garden at AT&T Park in San Francisco. Photo courtesy of Hannah Schmunk, Garden Community Development Manager at The Garden at AT&T Park. As major league baseball teams enter the playoffs with dreams of reaching the World Series, fans are soaking in the last games of the season. I am one of these fans, who at press time, is worried about the chances of my favorite team, the San Francisco Giants, earning a Wild Card spot. 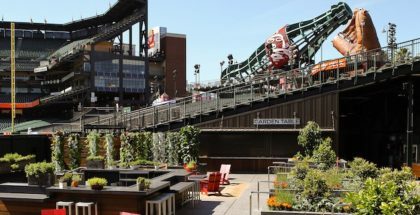 While focused on baseball, I thought it was a good time for me to write about two of my favorite things: baseball and local food.